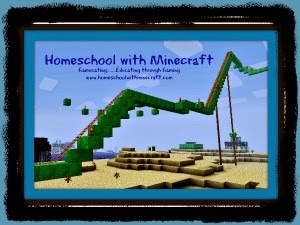 Special Needs Homeschooling, Traveling and Running a full-time business. Everyday brings a new hurdle, tears and laughter. 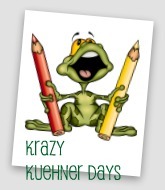 Follow our homeschool adventures throughout the United States. We got home from Tennessee and had such a busy weekend. Saturday took me all over. Brayden had set up for a show with his train club. We couldn't stay the entire show this time because Lydia had a program at the library to attend. We also had to pick up our new rabbits. Yes I said rabbits! I gave in on my strict 4H rule of no breathing, eating, or pooping projects. They are so cute though. A fellow homeschool family was giving away a few Mini-rex. The girls were excited, since we didn't tell them until we got there. Sunday we were rather snowed in. We could have probably went out, but we knew ahead of time that the snow was coming. So we had everything we needed and I had a to-do list to get accomplished!! We needed to get the train and laundry room area cleaned up in the basement. We did that!! Now we can start re-doing the train table and get the HO gauge up and running again. We are going to need to replace some of the equipment that we have set up now. Shhhh....Brayden has no idea what is coming! This week we concentrated on that bad habit of lying. Kids with autism create their own truths and really believing this alternate reality. It's a fight we go up against daily. Joey - Wrinkle in Time, Lydia - Socks, Brayden finished I Survived The Shark Attacks of 1906 and finished I Survived Hurricane Katrina. Caty isn't working on questions yet. She is reading her Magic Animal friends. Next week we are going to finish listening to James and the Giant Peach so we can watch the movie. They worked on contractions this week. Some were review, while many were new for Caty. She knew how to read them, but doesn't always remember what contractions stand for. She and I played several rounds of contraction games on TurtleDiary.com. All the kids played a Contraction memory game I printed from Superteachers.com. In math they concentrated on larger digit addition with re-grouping. Some were better at this than others, but MAJOR improvements have been made. I did introduce the calculator to Caty. Some people may be gasping. 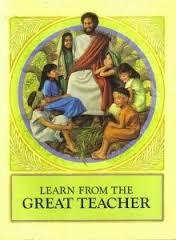 But she had to show me that she understood the concept before she could use it on the rest of her problems. Same with all of them. I do allow them to use a calculator. Most times people have a calculator on them at all times, and it was recommended since they all have delays due to their comprehension skills math can be a struggle. Instead of keeping them frustrated, confidence has been built. This was a big week. We covered volcanoes and earthquakes. We watched episodes of Bill Nye on both, plus Caty watched the Magic School Bus Blows its Top episode. I also got two videos from the library on Volcanoes. We did experiments on both subjects. The one experiment from the Bill Nye volcano was to see products under pressure. So they had to take two bottles of carbonated water. One they put in a front of the heater to warm it up, and the other they put in a snow drift to get it cold. They guessed which one would have more pressure and possibly explode. Caty accidentally threw a bit of wrench in our experiment, but it worked out. She had the cold bottle and knocked it over. You would have thought that her bottle would have exploded, but it did not. Lydia's that was in front of the heater was much worse! The heat was the bottle that had the most and kept bubbling after she opened it. Brayden built a seismograph. All the kids had a lot of fun shaking the table. Lydia and Caty did this experiment on earthquake structures. We also followed this video and looked at different types of volcanic eruptions. Our chemicals were not working for the cinder volcano, but the shield and stratovolcano were pretty cool. The kids were amazed at the stratovolcano eruption. We watched Dantes Peak together as a family. Every time there was a scientific fact made that we had learned about, I made sure to point it out as it was happening. We finished up our section on the Gilded Age. We learned more about Theodore Roosevelt and the impact he made on business. Also on our list this week was the Panama Canal and Immigration. It was great that I was able to pull out materials from when we visited Ellis Island a couple years ago. We talked about our trip there and to the Statue of Liberty. To bring the Guilded Age to life, I had the kids watch the American Girl Samantha movie. I thought the boys would balk more, but they didn't. In fact, Brayden actually enjoyed the movie a lot! We also watched a documentary I found on YouTube about this time period. We are ready to move on to World War I. I am scrambling to finish collecting our materials for this study. We also watch the American Experience PBS show on Henry Ford. He was a very interesting man. If we can, we may visit the Greenfield Village sometime in the next couple weeks, depending on the weather. It's a couple hour drive from here and winter has definitely arrived. We visited Ireland this week. Such a beautiful place. Maybe someday I will get to visit there. Joe got to go to Ireland when I was pregnant with Joey. I couldn't go with him due to funds. He said it was crazy there if you were on the roads, but he visited a couple cool places. I made an Irish apple cake dessert for the kids. But Caty is allergic to apples, so I changed up the recipe and made it with pears and also made it gluten free. It's almost like pineapple upside down cake. It was pretty yummy. We also visited Iceland. It worked into our study of volcanoes this week also. For our Icelandic cuisine, I made a pancake recipe I found. It was really like a crepe. The kids were not fond of it because it was so thin. I put cream cheese and blueberry syrup in Joe's for him. The kids had some grape jam and a couple had maple syrup and ate them that way. 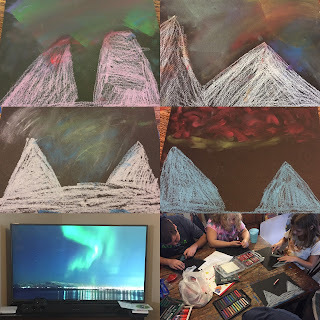 To go with our Visit to Iceland, we watched a video about the Northern Lights and I combined techniques from these two project ideas to have the kids create their own Northern Lights. The girls loved this, the boys didn't like the mess on their hands. Northern Lights and Northern Lights. I thought they turned out very pretty. We did learn a new fact that the Aurora Borealis actually exist on other planets also! Caty and I discovered the fact that Iceland does not have McDonald's she gasped so loud...lol..I managed to get a bit of her gasp on film. I included the boys in this discussion as well. 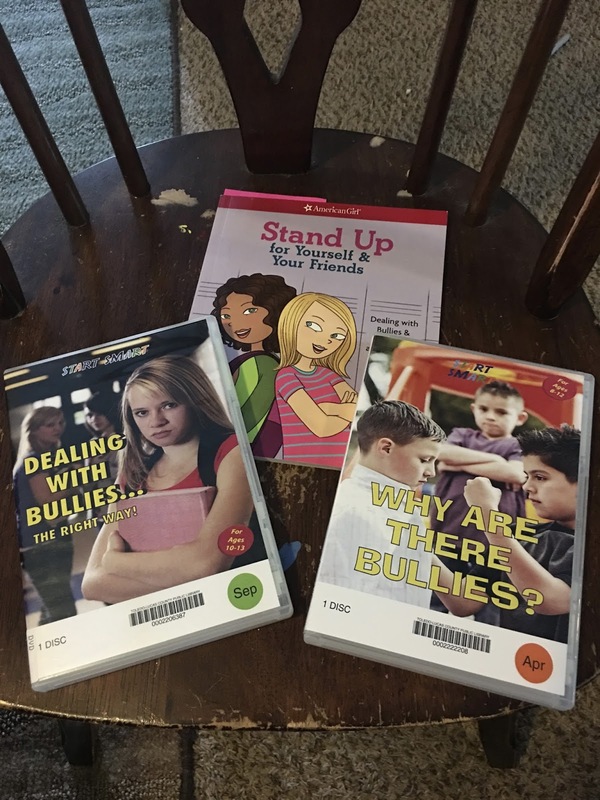 Lydia worked on a report on bullying for her Safety badge. 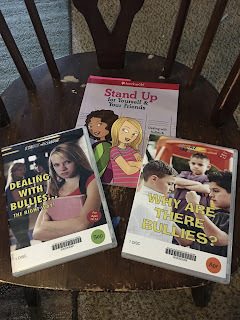 We watched a couple short films I found at the library, and read this really good book on bullying from American Girl. Caty was working on her safety badge also. She was working on her bike safety portion of the badge. The girls finished their art session this week. They worked on symmetry. This was a fun project. For fun we played a new game to us. I had totally forgot about the old game Pay Day. It was fun, and we will be definitely play it again and add it into our schedule. It challenged Lydia's math skills by adding those extra place values to her figuring. I spent time Sunday working on a chore chart. I have such a Type A personality that sometimes trying to teach them to do things drives me crazy. I struggle with the line of fighting with them to finish their work and me just doing it because I am so exhausted from battling with other issues. I dread the idea of fighting with them to do chores. I printed up a daily list of things that needed to be finished. I separated it out by which child was to do what. With more animals in the house though, I really needed to remind them of what needs to be done everyday. This first week did not go to bad. I didn't tell them when I first showed them that they would start earning an allowance. They get a small amount each day if they finish all their chores and all their schoolwork without a fight. If I need to continue to fight with them, and they choose to not finish their work (and the key words are "they choose" - not mommy error), they do not earn that money. This week, I did need to pull money from a couple of them. Refusal to finish their school work, at their choice. I was right that it was more work for me this week. I had to over see the chores being finished, but it was mainly things like cleaning the rabbit cage and reminding them how to make their beds. I just had to figure it into my day. I know this week what to adjust for next chore list, so I can make those adjustments and hang the chart up on Sunday again. In my health, I have been on a restricted low-histamine diet for a while now. I am also dairy, gluten, egg, soy, corn, pork, seafood, nut-free...I'm sure I'm forgetting something. I tried a bite of dairy cheese a couple weeks ago, and did not have a reaction. I was able to add cheese back to my diet. So when we got home from Tennessee I tried yogurt. No reaction!! I was so excited!! I was able to add a little back into my diet. I'm hoping to periodically add some higher histamine foods back in also. I may even make some yogurt homemade with my pressure cooker now. I still have to watch the ingredients, but having another option when we are having those on the run days is great. I can grab a yogurt and head out the door, instead of completely starving. That has been harder lately. My blood sugar has been wrecking havoc on me. Hope everyone had a great week!! Looks like you had lots of fun and a busy week! Love the new bunnies! I'm with you about using a calculator after a kids has demonstrated understanding of the concept. I have a daughter who really struggles with math, and I spoke with a friend who teaches special ed math in a local high school. She recommended I let my girl use a calculator, and it's helping a lot. 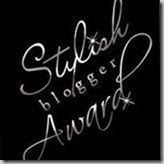 Visit Renita's profile on Pinterest. 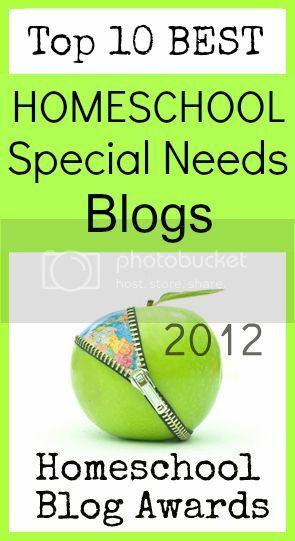 Children with Special Needs do not have an illness. They are not contagious and there is no cure. They want what we all want, to be accepted.